The first episode of the Blue Dragon anime can be yours for nothing. It's available on Apple's iTunes Store until March 10 free of charge. The show's first 13 episodes are also up on iTunes for sale. The Blue Dragon anime is based on the Xbox 360 game from Final Fantasy creator Hironobu Sakaguchi and Dragonball creator Akira Toriyama. 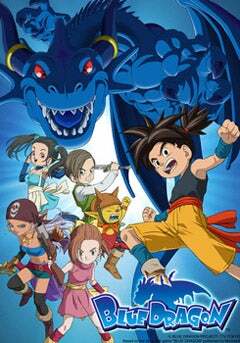 It follows young Shu and his friends whose shadows are powerful blue dragons.